June will be here soon and we are gearing up for this year's Gibby's Day! This year, June 6, 2015 marks 10 years that we have been celebrating David's life. We would love to see as many of you as possible at the event. All are welcome! 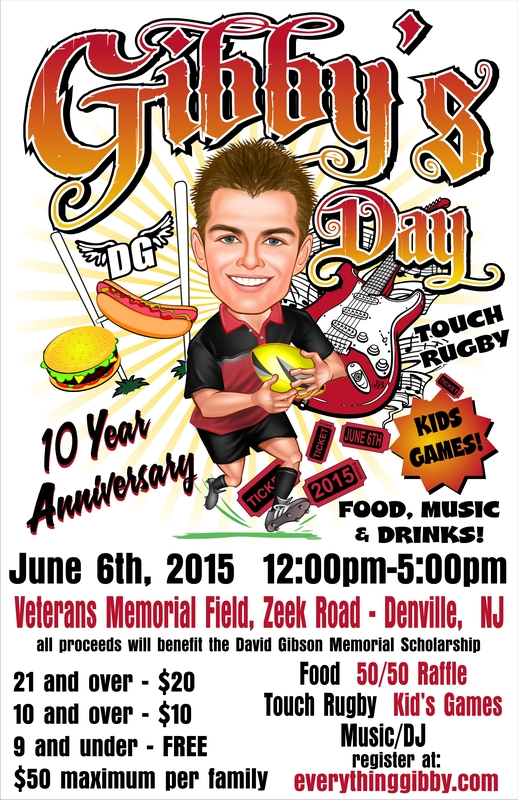 We will have games for the children, a touch rugby game, tricky tray, 50/50 plus much more. Registration is open so sign up now! Use the link below or hit the "Donate" button and specify your payment is for Gibby's Day 2015 (under "add comments" after putting in the amount).